Quick post to show my nails of the past couple days! 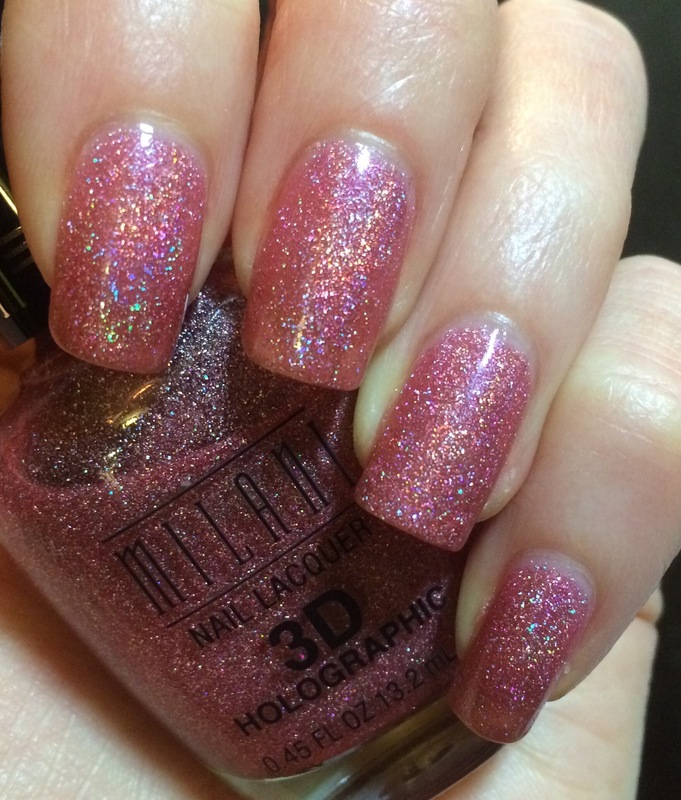 This is Milani Digital, one of their old scattered holos. I used three coats plus top coat. First three pics under Ott lite, last one with flash. 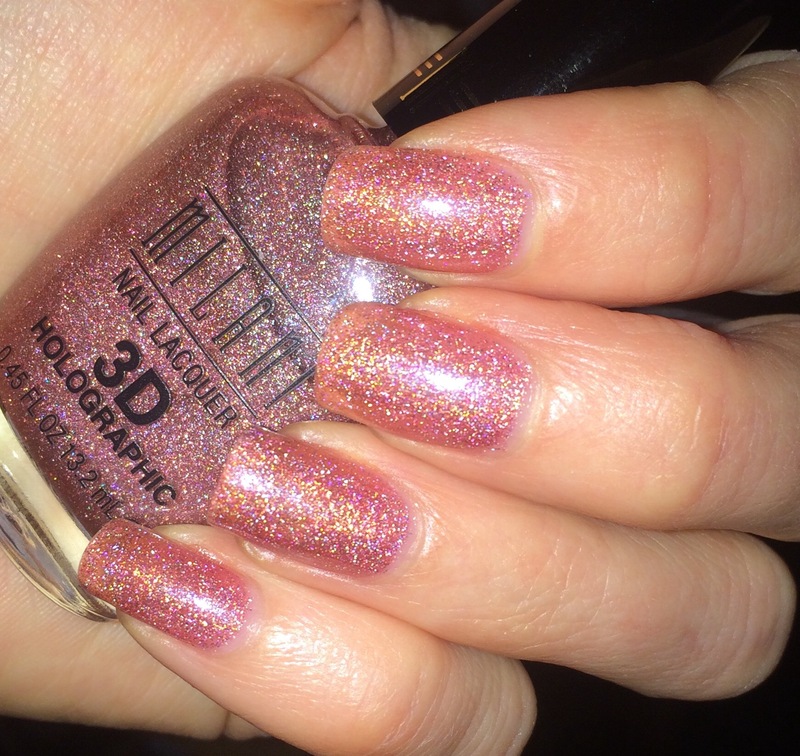 Here are two gorgeous Picture Polishes, New York and Ornate! 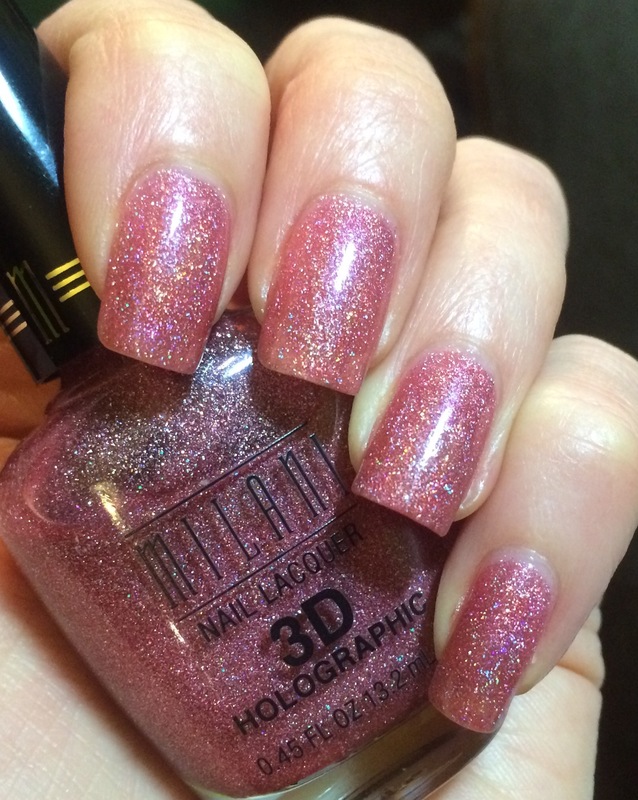 New York is a rich rose pink scattered holo and Ornate is a plum purple scattered holo with medium golden hex glitter and small fuchsia glitter. I stamped them with Colour Alike A Juicy Tangerine and an image from It Girl plate 103. Here’s a picture including the plate… which I hadn’t cleaned off yet. Love the It Girl plates! I’ve got two swatches and a comparison to show you today! First up is Black Cat Lacquer Lotus Flower. 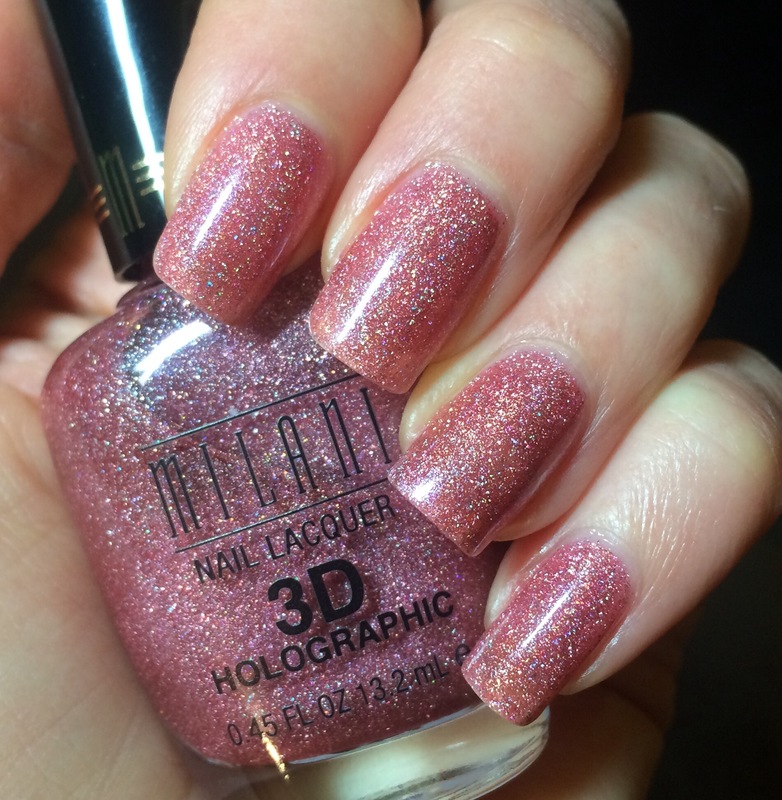 This is a nearly-neon bright pink with subtle holo and heavy gold glass fleck shimmer. I love it so much! Two coats plus top coat, great formula. Here is the comparison, top to bottom: Lotus Flower, Picture Polish Electric Dream, Colour Alike 510, ILNP Cutie Pop. Electric Dream is the most similar to Lotus Flower, but it’s less bright/neon and has larger, scattered holo flake particles. Colour Alike 510 is quite a different shade of pink and doesn’t have gold glass fleck. Cutie Pop on the other hand is a lighter, softer pink and its holo is more prominent than its glass flecks, the opposite of the Black Cat Lacquer. I used two coats plus top coat for each of them. Again, left to right: Black Cat Lacquer Lotus Flower, Picture Polish Electric Dream, Colour Alike 510, ILNP Cutie Pop. And finally, here are swatches of Colour Alike 510. This one is also really pretty!